Week two-fifty-nine of Operation Graphite – theme: Batman. That ninja Batman anime now has a trailer, and it is even crazier than I imagied. Batman can go anywhere, get recycled, revamped and reinterprited a million ways, and most of the time, can still be great. He’s a pretty versatile guy for a weirdo who dresses up like a bat. Week two-fifty-eight of Operation Graphite – theme: Zelda. I had this really dynamic idea of Link doing this attack / dive thing and the result was a little wooden and awkward. Week two-fifty-seven of Operation Graphite – theme: Guardians of the Galaxy. Well, hello there. I’ve been absent for quite some time. I really doubt anyone has noticed. This past spring was a tough time, work picked up and I got pretty burnt out. I had previously hinted about my plans for ending phase one of this project. With only a few more weeks to go, I broke my streak and ended up abandoning it all. The plan is still to wind things down, and even though I did complete my goal of publishing consistently for five years, I didn’t have the nice neat cap to end things with. My current plan is to wrap things up by the end of the year. This particular post was initially meant to go up when Guardians Part 2 hit theaters. Now it is even months past the blu ray release. At least I made it before Part 3 comes out. The theme selected for week two-fifty-eight of Operation Graphite will be: Zelda. Nintendo has a new gaming console, and a new Zelda game to go along with it. From the few reviews that I have read, it sounds amazing. I probably will never get to play it. Phase One Operation Graphite is winding down. We are past, or closely approaching the the five year mark, depending on which metric you choose to use. I had some hope I could make it to 300 Grey Ops, but I think it may be time to end things sooner. I do not intend this to be the end of Operation Graphite, but the end of the the project in its current form. The end of a chapter, and a start to a new one. Over the next few weeks I will post the last three themes. 260 will be the target, and after that there will be a short break, and perhaps a new mission for Operation Graphite MKII, or Phase 2. I haven’t settled on the fancy title for the next incarnation, or what the next incarnation will even be. Please submit any drawing or painting, using traditional or digital media, that fits the theme: Zelda. Week two-fifty-six of Operation Graphite – theme: Pants. 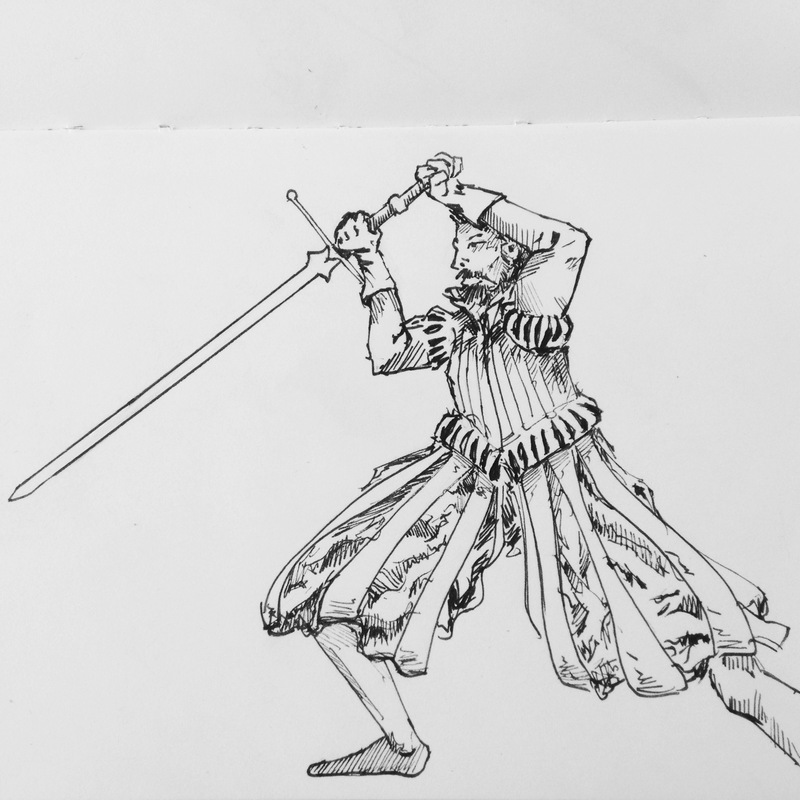 By now you may have noticed that most of my posts are ether an excuse to draw people with swords, or monsters. This week was not an exception. The theme selected for week two-fifty-seven of Operation Graphite will be: Guardians of the Galaxy. The first Guardians of the Galaxy was the equivalent of Marvel throwing a Hail Mary pass even though they were still ahead, 34-3. Oh my god, I just made a sports reference. What is wrong with me? A property no one knew became one of the biggest Marvel hits, and one of the funnest, most beloved comic book movies to date. There have been better comic book movies, and certainly much worse, but there are few ensembles that quite match the Guardians for providing a fun, action packed, sci-fi adventure. I’m super pumped for Volume 2. Please submit any drawing or painting, using traditional or digital media, that fits the theme: Guardians of the Galaxy. Week two-fifty-five of Operation Graphite – theme: Rogue. After a minor but significant spelling error which have our hero a rosy hue rather than a rebellious nature, things were set back on track. There was also an extra week this time, did any one notice? No, didn’t think so. 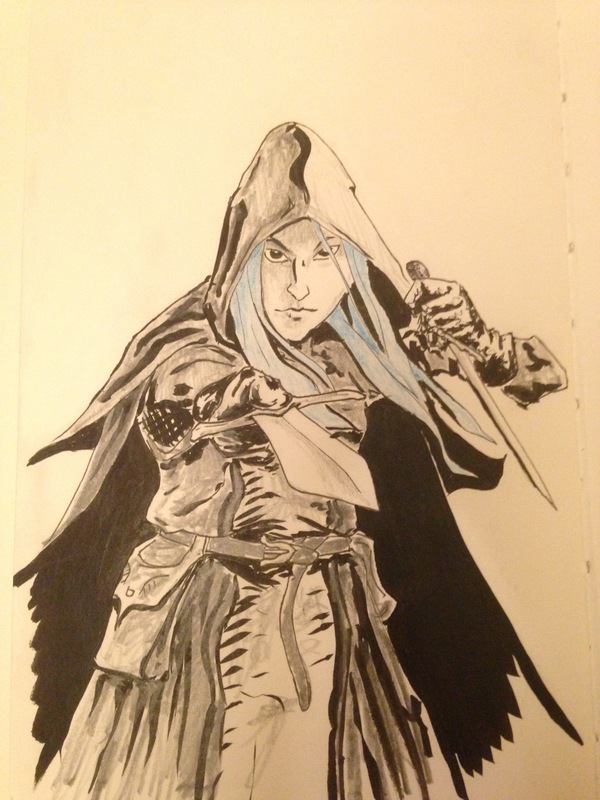 Shock – Blue Haired Rogue.